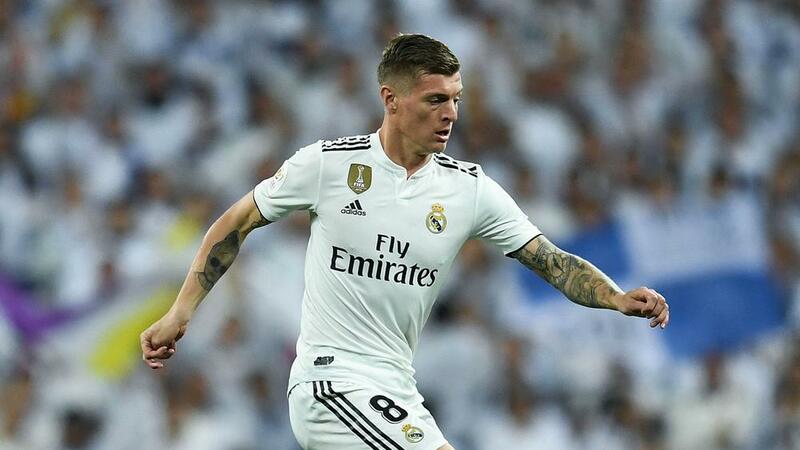 Santiago Solari defended his decision to substitute Toni Kroos early in the second half of Real Madrid's 1-0 Clasico loss to Barcelona. Despite Barca enjoying the greater share of possession, Solari replaced Germany international Kroos with 20-year-old midfielder Federico Valverde in the 55th minute. Madrid were unable to find a route back into the match after Ivan Rakitic's first-half opener and fell to a defeat that leaves them 12 points behind LaLiga leaders Barca. When asked about his decision to withdraw Kroos, Solari suggested that new faces are wanted at the Santiago Bernabeu. "Kroos is like the rest of the players, they all tried their best," he said. "Valverde is a young player taking his first steps in the game, like Vinicius [Junior], [Sergio] Reguilon, [Alvaro] Odriozola, who are the future of the club." He added to Movistar: "Anybody can be in the starting line-up. With Valverde we were looking for freshness. "The young players are pushing. People want to see new players, it happens in football and in life." Gareth Bale was selected ahead of Lucas Vazquez but had a disappointing outing and was whistled off when he made way for Marco Asensio in the 61st minute. "I think Bale has done a lot of things for the club and a lot of great things and everyone deserves respect, but the crowd are tremendous," said Solari. "He tried, like everyone else. We played as a team. If there was something we did well it was playing together, attacking together and defending together."